'Heritage Craft Schools, Chailey, Sussex'. 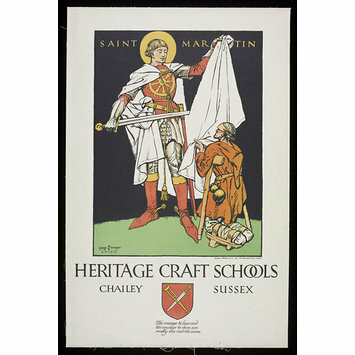 Colour lithograph poster, the design incorporating an image of St Martin. Signed and dated 'A.D. 1917'. Signed and dated 'A.D. 1917'. 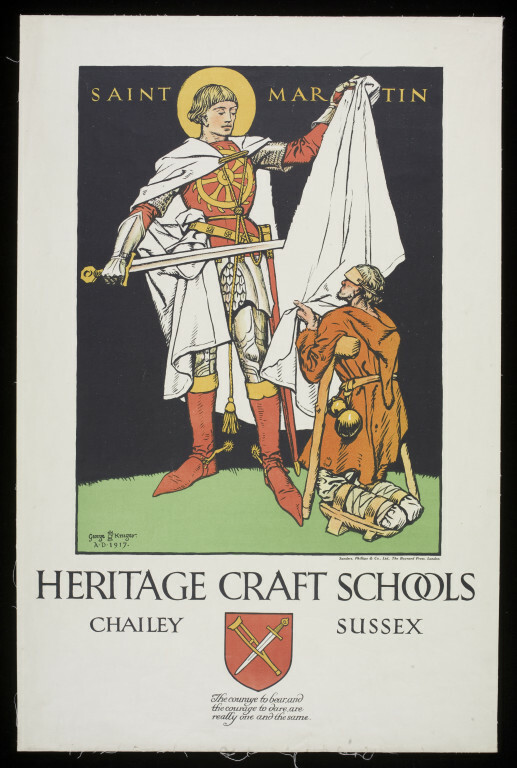 'Heritage Craft Schools, Chailey, Sussex'. Colour lithograph poster, the design incorporating an image of St Martin. Designed by George Kruger Gray. Great Britain. 1917.